EAGLE board and CNC hole drilling! 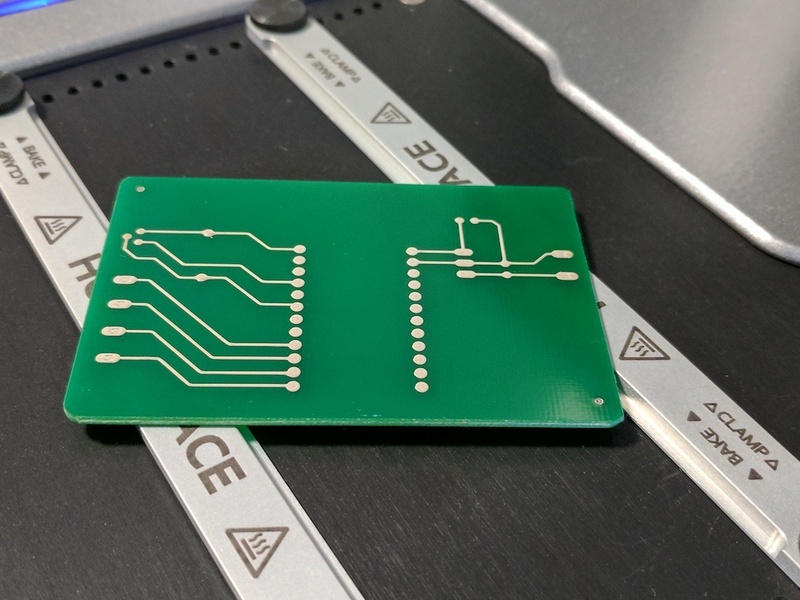 Been printing a couple boards now with this awesome machine and I am happy with designing and printing boards, but I fould the holdup for me now was drilling all the holes.. a big pain my backside.. 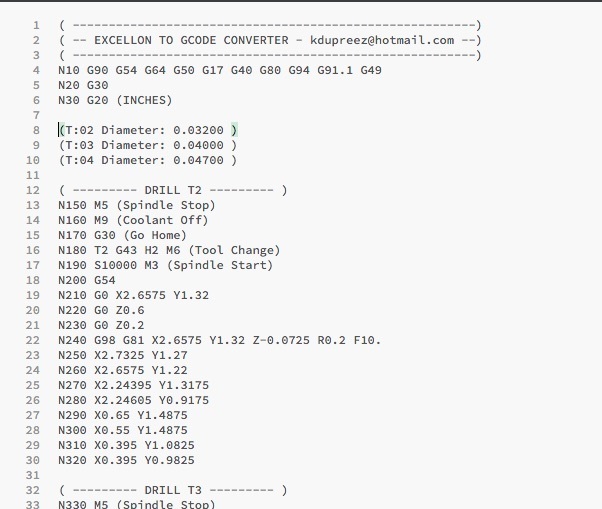 So - I took the day and wrote a conversion tool to easily convert a EAGLE generated drill file and convert it from EXCELLON format into GCODE canned drilling cycles that my Tormach CNC mill can understand..
Its the very first version and it works GREAT with Tormach mill!! some improvements to specify RPM, Feed rate, Z planes and Tool Crib mappings will come soon..
Did you have any problems with alignment - getting the drill to line up perfectly with the holes? Also, is that a breakout for a photon board? Or another development board? We're currently in the process of releasing templates that will help make custom breakouts super easy. Stay tuned! Hi...i am a new user here. I am facing an issue. The file filename.bot.drill has locations for 28 holes, which is 1 more than is on the board. Any help to actually see the preview and to make sure that I'm doing it right is greatly appreciated. I want to be sure that I'm up to speed once my CNC router arrives.Also, which files does EMC2 use to control a CNC device? I'll be using Lumenlab's micRo for the CNC routing, if that is something that helps. Nope, alignment was fairly easy. 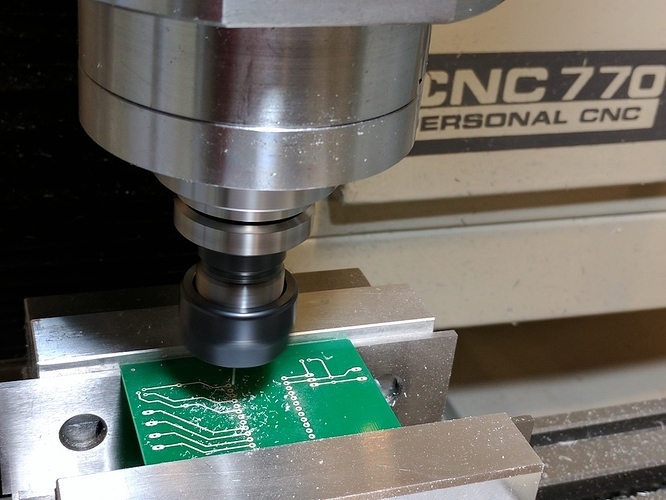 I used the vias on the board to align the VOne, then because the board is a known dimension, I just zero'd the CNC on the bottom left of the board as X/Y zero and generated GCODE from there. and YES, it was a breakout for Photon and saw you had some last week and ordered two packs! THANK YOU for that !